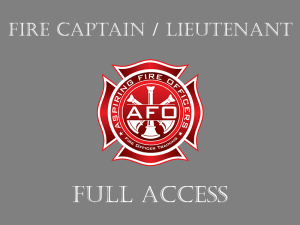 Members receive unlimited access for 4-months to all content within the Emergency Scene Fire Simulations section. This includes our custom instructional videos titled: “Pre-Arrival Considerations”, “The Initial Report”, “Two-Out/IRIC”, “Using Proper ICS”, and “Transfer of Command”. 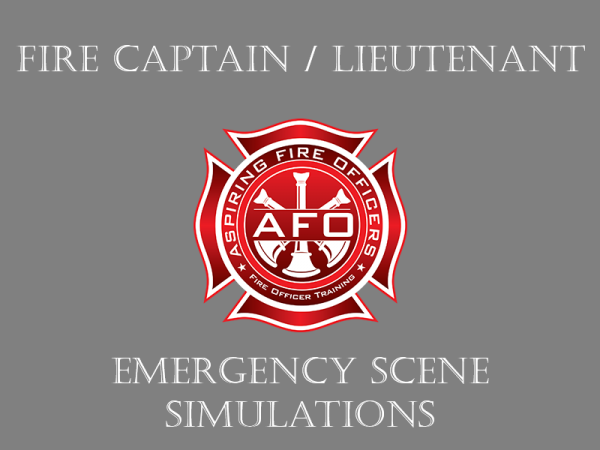 In addition to all of the videos listed above, members will have full access to 24 static, 24 dynamic and 24 practice Fire Captain / Lieutenant emergency scene simulation scenarios (72 total). The scenarios are first run as a dynamic fire simulation (people talking back on the radio). Next we run the same scenario as a static fire simulation where the candidate simply explains how to manage the incident with no radio traffic. Whether the fire simulation exercise in your fire assessment center is dynamic or static we have you covered. We also provide a third practice video where the only verbal is the units arriving on scene. 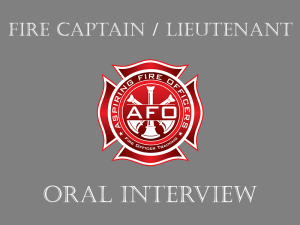 This provides you the opportunity to manage the emergency incident as a Fire Captain / Lieutenant and apply what you have learned to build your confidence and skill level. Following each of the dynamic fire simulations is a discussion of why the incident commander made the assignments that he or she did. We refer to this as “Decision Points”. This portion of the fire simulations gives our members insight into the decision-making process of the incident commander. 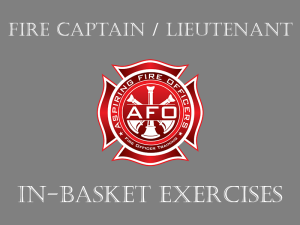 In addition, after each dynamic scenario, the incident commander provides a “Transfer of Command” to the arriving Chief Officer. You can expect to see this component during your exam. We believe that the transfer of command is so important it that we have created an entire video on the subject that you will be able to view as much as you like during your membership period. Following each static fire simulation, the raters question the candidate regarding his or her tactics and strategies. This is a common practice that you can expect during a fire simulator. To enhance your learning experience, we also include a transcript of each scenario. This will make it easier for you to follow along and highlight key phrases that you want to incorporate into your own incidents. As an added bonus, you receive access to 35 Training Scenarios that we have developed. These are stand-alone photographs of simulated structure fires. Each training scenario asks you to respond to questions about your actions at that incident. You can use these scenarios to hone the skills you develop during the video scenarios that you have access to. As an added bonus, members will be able to view our specialized video titled “Understanding Raters”. This video will help you to understand the role that raters play during your exam.